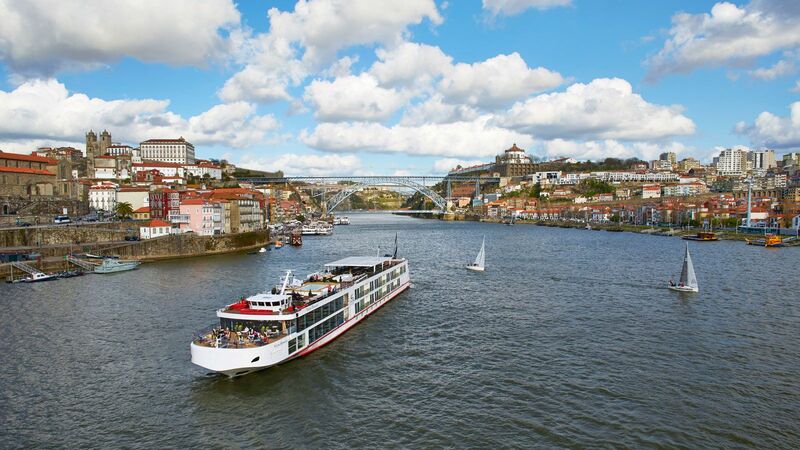 Interest in river cruising is at an all time high, in part because many lines are now offering state-of-the-art new ships, seasonal food that speaks to the destinations visited, and plenty of all-inclusive perks. Viking — a T+L World's Best Winner in 2017 — is constantly coming out with new vessels, like the Viking Hild, which is virtually identical to the 40-plus other longships in Viking's fleet. And that is a very good thing: These are the ships, after all, that sparked America's crush on river cruising, and everything about them continues to feel fresh, vibrant, and impeccably thought out, from the generous number of cabins with balconies to the no-fog mirrors in the cabin bathrooms — a miraculous touch if you happen to be the last person in the shower in the morning. But you do not go on a river cruise to spend all day on the ship. 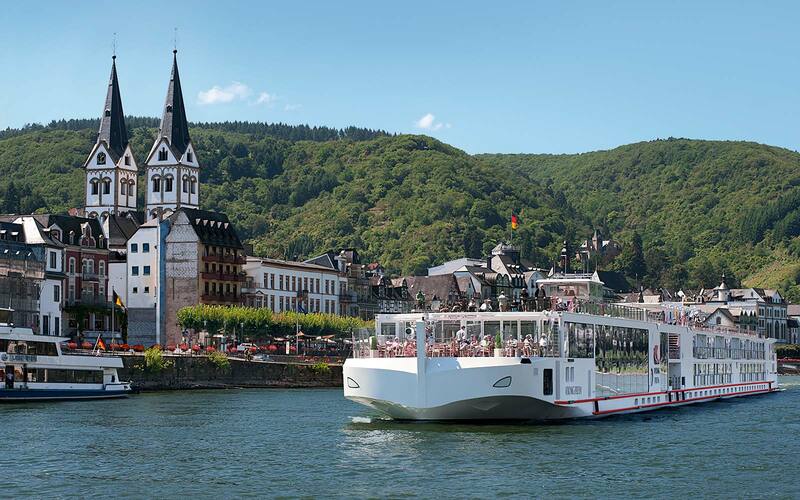 Viking Hild, which sails the Rhine and the Moselle, offers at least one complimentary excursion at each port, as well as a number of standout for-fee outings throughout the cruise. And the front desk arms you with a map, directions, a business card with the location and number for the ship if you'd rather explore on your own. (In most ports, we docked just a short walk from the sights.) 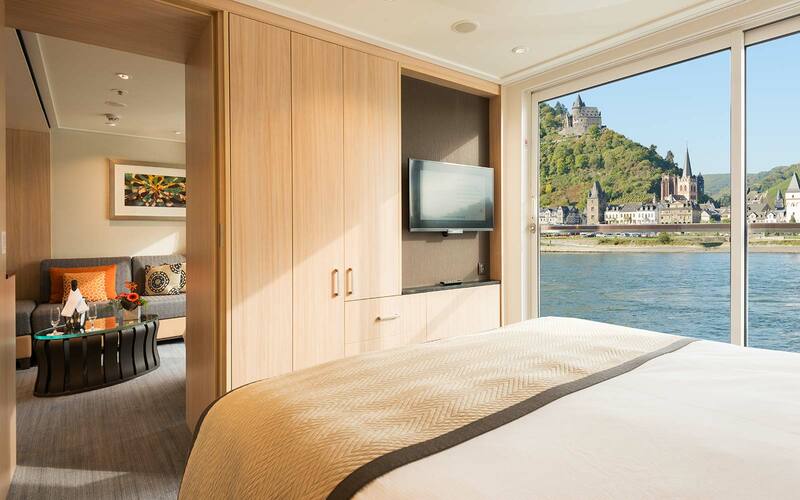 Bonus: The floor-to-ceiling windows in the public areas mean that on cooler sailing days, you can curl up inside with a book and a local Riesling and still watch the castles and countryside roll by. Travel + Leisure was recently invited as a guest by Viking to join Viking Hild's Swiss Alps to Paris itinerary. Here are a few of our favorite things from the trip. Viking's Longships are known for their sleek Scandinavian style, and Hild is no exception. You'll see a few splashes of color — the dusky blue pillows on the beds, for example, and pops of bright orange in the Aquavit Terrace — but for the most part, the ship is filled with neutrals, light woods, and minimalist lines. During the day every room is flooded with light, thanks to a multitude of floor-to-ceiling windows in the public spaces, and the ship makes brilliant use of marble and glass in the skylit atrium, with panels of both framing the blonde-wood staircase. And then there are the nods to Viking culture, most notably in the Observation Lounge, which has a bar built out of overlapping planks, echoing the hulls of ancient Viking longships. Like the rest of the ship, staterooms are flooded with light and covered in blonde woods and earth tones. They also come with perks like no-fog mirrors and heated bathroom floors — a boon during the non-summer months. Standard cabins are 150 square feet and have a half picture window, while the 135-square-foot French balcony staterooms (the smallest on the ship) come with floor-to-ceiling sliding glass doors. All suites have balconies — and unlike on many other ships, they come with an actual wall and a door between the bedroom and the living room. Veranda suites range from 205 to 275 square feet, while the largest cabins on the ship, the 445-square-foot Explorer Suites, include a wraparound balcony, free laundry service, and a free beverage package. We met a lot of repeat passengers on the ship and one of the reasons why is its no-nickel-and-diming policy. That means the ship's Wifi is free, as is the beer and the excellent local wines served at lunch and dinner. Be aware, however, that there is no room service, unless you are staying in an Explorer Suite. (Though you can help yourself to tea, coffee, and pastries from the pantries on the upper deck, 24/7.) And you won't find a laundry room, so pack generously if you don't want to rack up laundry-service fees. Before and after dinner, passengers gather around the longship-inspired bar or settle into minimalist leather armchairs for cocktails and music. When local performers come onboard for an evening, this is where they play. Open for breakfast, lunch, and dinner, the airy, white-tablecloth-bedecked restaurant is the true social hub of the ship. Most tables seat six or more — there are no tables for two — so unless you're traveling in a big group, you'll spend most meals getting to know the other passengers. (We saw many people hit it off on the first night, then choose to sit together for the rest of the voyage.) Dinner usually means a seated three-course menu that changes every night, though a few dishes (poached salmon in dill sauce, prime rib with chimichurri) are served nightly. But the highlight may have been a German-themed night, when we were handed pints of local beer on our way in and seated at tables piled with fresh pretzels before helping ourselves to a dream spread of bratwurst, schnitzel, and spatzle. On nights when you'd rather do dinner for two, you can head up to this casual, glassed-in restaurant on the bow of the ship. (On warm days, the glass doors retract, opening the space up to the outdoors.) With a view like that, it's no surprise that Aquavit is inundated for lunch on river days, but at night, snagging a table in in the intimate space is almost never a problem. You can choose one of Aquavit's seafood-centric specials, or order your entrée from the Restaurant downstairs. 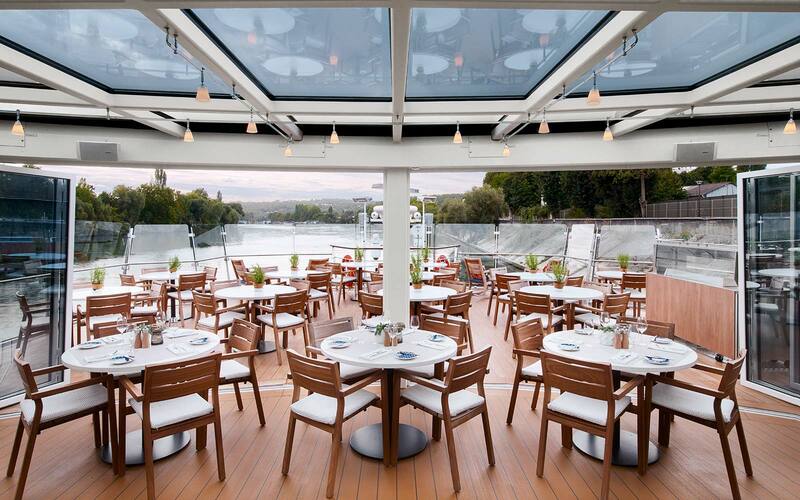 On river days, passengers gravitate to the top of the ship to check out 360-degree views of the riverside. (It's also the best place on the ship to catch the sunset.) Along with plenty of covered lounge chairs and tables — we never had to fight for a seat — the sundeck has a walking track, a putting green, solar panels, and an organic herb garden filled with ingredients for your next meal. At each port, Viking offers at least one free excursion, often in the form of a bus or walking tour through town. But many of the for-fee excursions are worth the splurge — particularly the daylong Taste of Alsace tour in Strasbourg, where we made stops for tastings at a glacier, fromagerie, bakery, and patisserie — all before an Alsace-wine-soaked lunch of charcuterie, cheese, and éclairs at a wine shop. Afterward, our guide took us for a tour through the gothic Strasbourg Cathedral before we hit yet another restaurant for multiple rounds of tartes flambée, followed by a walk across town for fresh gingerbread. Viking Hild is an intimate ship, and by day two, it felt as if every member of the crew knew our names and our drink orders. Stepping back on the ship after a day exploring onshore felt like coming back home — if, that is, one's home came with a friendly staff willing to ply you with bubbly and cookies upon request.